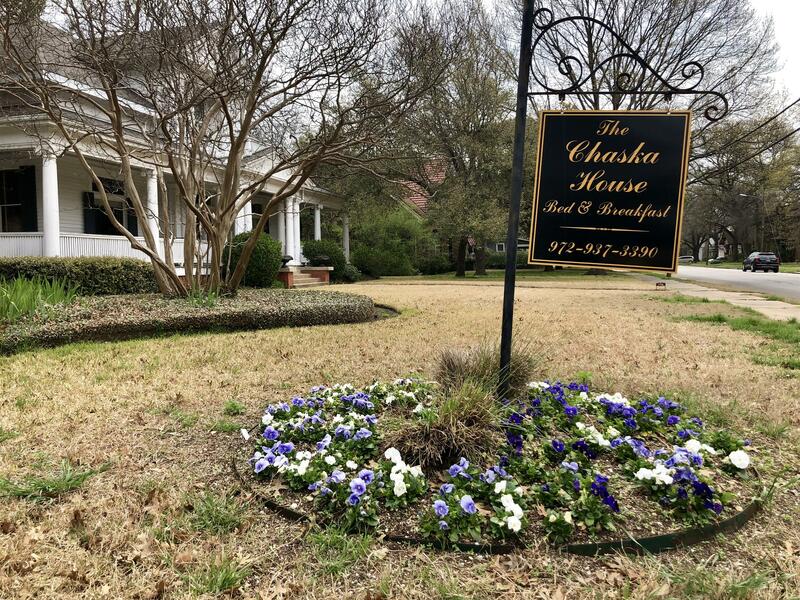 The Chaska House is a premier bed and breakfast located in Waxahachie, Texas. Spacious rooms and suites reflect the lifestyles and works of well-known authors and guest cottages are also available just steps away from the main house. over 30 films (3 Academy Award winners) and boasts dozens of boutiques & antiques shops, fabulous restaurants, and exciting events. The historic Ellis County Courthouse, Scarborough Renaissance Festival, Texas Country Reporter Festival, Screams Halloween Park, the Ellis County Museum, Texas Motorplex, and Chautauqua Auditorium are just a few of the many things to do here in Ellis County. Come experience all the ways Waxahachie will earn "a place in your heart"!